We investigate whether the design of the built environment encourages walking above and beyond individuals’ attitudes toward walking. With data from a regional travel survey, we use regression analyses to examine differences in neighborhood walking trips among residents with positive and negative attitudes toward walking. The results show that built and social environment factors have a differential impact on walking trips depending on a person’s walking attitudes. Therefore, strategies to promote positive walking attitudes should be pursued in tandem with land use policies to encourage neighborhood walking. To compare these groups, the sample was stratified into two groups based on attitudinal differences, hereafter referred to as “high-walk” and “low-walk” attitudes. A walking attitude index was constructed based on an additive measure of three attitudinal questions from the South Bay travel survey. For each question, respondents were asked to rate on a 5-point ordinal scale (5 = very important; 4 = important; 3 = neutral; 2 = rather unimportant; 1 = not at all important). The median attitude index value of 10 was used as the threshold for stratifying the sample into high-walk and low-walk groups. Therefore, respondents who scored 10 or higher on the attitude index were included in the high-walk sample, while those who scored 9 or lower on the scale comprised the low-walk sample, with index scores ranging from 5 to 15. Ok, but nowhere in the paper can I find what these three questions are, precisely. And that matters. Travel diaries tend to drive me crazy because transportation agencies seldom cognitively test their surveys with psychologists before administering them. I don’t know whether SCAG did so, but if they did, it would surprise me. Few people in transport are trained this way. This lack of testing isn’t something the authors of the study can do anything about; it’s not their survey. It’s just a problem that bugs me about agency-administered surveys in general. But the questions they used to combine for their index should be explained in the article. Am I just missing it? Splitting the sample means they are going to run into more trouble than otherwise when they begin to bring in their neighborhood level variables–which, for all practical purposes–work like another strata on the data. It’s not really clear what the split sample accomplishes for them that using the preference variables or indexes as controls wouldn’t accomplish just as well. The case for stratifying isn’t made clear to me anyway. They are trying to figure out if built environment and safety variables produce more of an effect for those with different levels of preference towards walking in the first place. They are also, I suspect, trying to figure out if people sorted themselves by residential preference according to preference towards walking: those who very much prefer walking might be expected to, all things equal, buy houses in neighborhoods with more walking amenities. They don’t seem to see that effect here, which probably just means they can’t control for enough residential neighborhood variables to see an effect, or the effect is simply dominated by preferences for other things, like schools. Their dependent variable is a count of walking trips. These glitches notwithstanding, they have some interesting results, but what I find interesting, they don’t seem to find interesting. First, we’ll look at what they find interesting. They find that for those who have a high preference for walking, violent crime rates do not dampen the individuals’ tendency to walk much. And, in turn, a good supply of neighborhood walking destinations–a la the mixed use that planners promote so tirelessly–allows those with the preference towards walking to satisfy that preference. Yay! However, violent crimes seem to really reinforce lack of walking among those who show little preference for it–as we would expect–and no amount of neighborhood design seems to influence them to walk more. In fact, the Jane Jacobs idea–short blocks, lots of intersections thing seems to dissuade them! (I TOLD YOU PEOPLE SO! I’ve been saying it for years. Not everybody loves short blocks with lots of opportunities to get hit by a car!! Did you listen? NOOOO). It would be interesting to see–which they probably can’t do with these data–whether violent crime rates are informing the negative attitudes about walking to begin with. Our cities are “smart” and getting smarter as information processing capability is embedded throughout more and more of our urban infrastructure. Few of us object to traffic light control systems that respond to the ebbs and flows of city traffic; but we might be taken aback when discount coupons for our favorite espresso drink are beamed to our mobile phones as we walk past a Starbucks. Sentient City explores the experience of living in a city that can remember, correlate, and anticipate. Five teams of architects, artists, and technologists imagine a variety of future interactions that take place as computing leaves the desktop and spills out onto the sidewalks, streets, and public spaces of the city. “Too Smart City” employs city furniture as enforcers: a bench ejects a sitter who sits too long, a sign displays the latest legal codes and warns passersby against transgression, and a trashcan throws back the wrong kind of trash. “Amphibious Architecture” uses underwater sensors and lights to create a human-fish-environment feedback loop; “Natural Fuse” uses a network of “electronically assisted” plants to encourage energy conservation; “Trash Track” follows smart-tagged garbage on its journey through the city’s waste-management system; and “Breakout” uses wireless technology and portable infrastructure to make the entire city a collaborative workplace. These projects are described, documented, and illustrated by 100 images, most in color. Essays by prominent thinkers put the idea of the sentient city in theoretical context. Here, too, is the very cool website from the Architectural League that accompanies the book, Toward the Sentient City. Planetizen has really grown into a site that interests me way, way more than it did at the beginning, where it was primarily the usual planning advocacy stuff. Now that they’ve been there, done that, it’s got writing that has been far more interesting to me, as I haven’t heard the same material for 10 years running. One of my favorites recently was this piece from Fanis Grammenos on Choosing A Grid, or Not. First, I want to respond to an Fboo comment that the piece reduces the grid to “mere statistics.” First of all, there isn’t anything in the piece that even approaches statistics. He talks about correlation, but he doesn’t present any. These are measurements only. There is a difference between measurement and testing. And there’s nothing “mere” about either. Second, jeez louise. Tough crowd. Nobody who measures something believes they have captured the whole of anything. Intelligent people should understand that they are more than a shoe size. And yet, that measure is pretty useful on a day-to-day basis. Grammenos is at least trying to help us understand the physical aspects of what we are talking about when we are discussing different grids. All knowledge is partial, regardless of whether you are describing something with numbers, pictures, or words. Yes, even your pretty pictures are partial. We grasp little bits of understanding with every study of this type we try to do. The interesting bit of this material to me concerns something I’ve suspected for a very long time: undisciplined use of sidewalk regulation can increase ROW and spread the urban footprint, particularly if you refuse to pare down on road space (as many places do). The mathematics of networks and space are fascinating. Anybody who thinks this stuff is reductive should go check out Anna Nagurney’s work, or her very nice blog. Where do urban planning and urban design belong? Another old controversy in planning concerns whether the field is an art or a science–a useful distinction for people who believe that art and science are distinct things, with bright lines between them. Since I don’t, the dichotomy is less interesting. More interesting is the idea of where design falls in urban planning, and whether urban planners in university programs should be housed with the architects or the social science people. There are arguments either way; functionally, urban planners are going to be a minority regardless of whether you put them in social science or design, and being a minority discipline means disadvantage no matter where you go. Architects look down on planners, and economists and political scientists look down on planners, less because in fact they are all that much more rigorous than anybody else and more (largely) because a) it’s fun to feel superior because b) it allows you to ignore for the nonce the crippling weaknesses in your own discipline’s approaches and theories. Planners, in general, have internalized this “we’re inferior” mantra from other disciplines, for reasons that escape me. My attitude is to go outpublish people, learn more, get more grants–and to tell any architect or economist who gets up all in my face to jump in the lake and get over themselves. In the hard light of honest evaluation, knowledge is painfully partial, everywhere; everybody has intriguing answers, even if they aren’t right, and nobody has all the answers. The Journal of Planning Education and Research in a recent issue* takes up the question of where urban design belongs and where it should be taught. The discussion here shows that not that many planning programs among those surveyed has an active design component. At USC, we have been fortunate: We have had terrific design-oriented faculty associated with the program, including Tridib Banerjee, Clara Irazabal, Elizabeth Faletta, among others. This article considers the factors contributing to the recent international trend for a differentiation between planning and urban design. It considers these highly related fields from the perspective of neoliberalism, global competition, and the doxa of New Urbanism. The article argues that urban design needs to be retained as an important subset of planning practice, concerned with the physical design of cities, so that the core planning values of serving the public interest in the attainment of social equity, democratic civil society, and an ecologically sustainable future may be maintained in our city-building processes. Gunders’ is a concern that I share; among many of the fields of planning, design has always been associated with something developers and cities purchase to add value to land. Banerjee’s response goes a bit deeper than others, but I may be biased due to my fondness for a wonderful colleague. The argument he makes confronts the idea that planning needs to control urban design as a movement and a greater comfort with interdisciplinary practice in urban design. I’m obviously no designer, but whenever I see social justice critiques about it, it reminds me of Adrienne Rich’s fundamental question: can you use the master’s tools to take down the master’s house? Why is urban design any different from any other skill set? Use it for both public and private good, or use for exclusively private benefit. It’s the practice that counts. It’s hard for me to believe that James Rojas and his merry, joyful, and empowering set of urban blocks and models don’t open up and democratize design. This article assesses the performance of U.S. planning programs relative to their administrative location in design versus nondesign units. We use both archival data to compare program rankings between design and nondesign units and a survey of a random sample of faculty (108 at 61 accredited programs). The archival data show a higher publication performance of programs in nondesign units. The survey finds that faculty respondents from nondesign locations have more favorable evaluations of their programs than do respondents from design locations. Administrators and faculty differ: while faculty in design units score their programs dramatically lower, administrators have a moderate difference in the reverse direction. Their sample has some problems (but I’ve yet to meet a sample that doesn’t), but it’s worth looking at their discussion. I have been both in a design college and in a social science unit, and I am much, much happier in the social science world, largely due to the emphasis and rewards to publication in social science units. We should note, though, that design-oriented programs also have pretty big differences in course loads and contact hours in studio education. There’s also just the fact that the terminal degree in architecture tends to be the master’s, and so many, many good faculty instructors there may not be trained to publish research. Finally, this issue of JPER shows some contradictions to the findings. Many of the design-oriented faculty featured in this issue are breath-takingly productive people: Talen, Steiner, Banerjee are all very well-published scholars (Steiner is a dean, too). There are others: Anastasia Loukaitou-Sideris, Gail Dubrow, Renia Ehrenfeucht, and Ann Forsyth are very productive scholars, to name just a few. So there is clearly productivity in the urban design subfield. *I am sorry that these are paid articles. One of my wonderful colleagues has a new book out from the University of Pennsylvania Press: Urban Tomography by Martin Krieger. Tomography is a method of exploring a phenomenon through a large number of examples or perspectives. In medical tomography, such as a CAT scan, two-dimensional slices or images of a three-dimensional organ are used to envision the organ itself. Urban tomography applies the same approach to the study of city life. To appreciate different aspects of a community, from infrastructure to work to worship, urban planning expert Martin H. Krieger scans the myriad sights and sounds of contemporary Los Angeles. He examines these slices of life in Urban Tomographies. The book begins by introducing tomographic methods and the principles behind them, which are taken from phenomenological philosophy. It draws from the examples of Lee Friedlander and Walker Evans, as well as Denis Diderot, Charles Marville, and Eugène Atget, who documented the many facets of Paris life in three crucial periods. Rather than focus on singular, extraordinary figures and events as do most documentarians, Krieger looks instead at the typical, presenting multiple specific images that call attention to people and activities usually rendered invisible by commonality. He took tens of thousands of photographs of industrial sites, markets, electrical distributing stations, and storefront churches throughout Los Angeles. He also recorded the city’s ambient sounds, from the calls of a tamale vendor to the buzz of a workshop saw. Krieger considers these samples from the urban sensorium in this innovative volume, resulting in a thoughtful illumination of the interplay of people with and within the built environment. 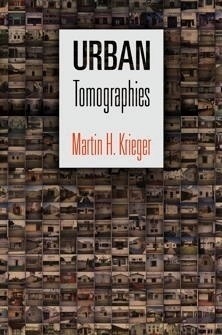 With numerous maps and photographs, as well as Krieger’s unique insights, Urban Tomographiesprovides an unusually representative and rounded view of the city. If you aren’t following the Source, the blog for the LA Metro edited by Steve Hymon, you’re missing out. All the news related to transit in LA–and there’s a lot of it–is reported, along with frequent updates on Federal transportation news. Among my favorites is the Art of Transit series. Go look. The U.S. Green Building Council (USGBC) and its founders have been named as defendants in a class action lawsuit filed in federal court. Filed on behalf of mechanical systems designer Henry Gifford, owner of Gifford Fuel Saving, the lawsuit was stamped on October 8, 2010 at the U.S. District Court for the Southern District of New York. Among other allegations, the suit argues that USGBC is fraudulently misleading consumers and fraudulently misrepresenting energy performance of buildings certified under its LEED rating systems, and that LEED is harming the environment by leading consumers away from using proven energy-saving strategies. Ho boy. This is a can of worms, indeed. Certifying buildings according to energy practices and design is one thing: making the connection between those practices and design and actual efficiency is a bigger deal. For me, LEED and USGBC’s willingness to begin certifying neighborhood design in the same way they have certifying buildings–and we are nowhere near understanding how urban design really affects energy use, and the same problem with the building standards (imprecise estimates, compounded) can be much worse estimated across the neighborhood–or across a whole inventory of emissions sources. At the same time, having one set of standards can be very important to developers so that they know what to aim for. This will be interesting to see as it unfolds.